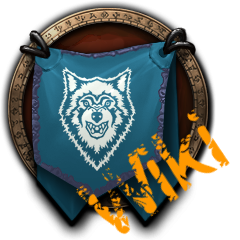 Welcome to the Dark Wolves "Wiki" page. Any useful links or pages should hopefully be found here. If there is a specific page you find yourself visiting time and again, and you feel you want to add it to our Wiki, let me know. Be aware that this is very much a "work in progress". So that you know when something new is added, there is a record at the bottom of this page which will be updated showing what has been added/updated, and when. If you wish to join us, please complete the application form. How to Register with the website if you are ALREADY a member of our guild. Recommended minimum Gear Requirements for heroics and raids. Instance Guide - a list of all instances, together with an indication of their level. Reputation - How to get reputation with various factions, plus lists of rewards available. Levelling Guide - various maps and guidance on questing. Playable Races - a list of the classes each race can be. Web Resources Guides - how to use the internet to improve your character.